David Pearson after winning at Michigan International Speedway in 1976. He got $13,595 for the win, according to the Associated Press. 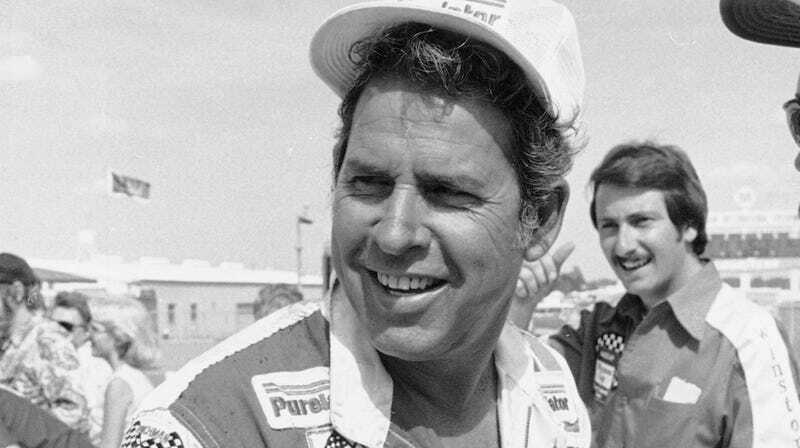 NASCAR Hall of Fame member and three-time champion David Pearson died Monday, the sanctioning body announced that night. He was 83 years old, and NASCAR said in a statement that the cause of death was unknown at the time. Pearson was known as one of NASCAR’s best of all time, with the sanctioning body’s statement on his death citing his title as Sports Illustrated’s NASCAR Driver of the Century in 1999 and his spot on the “50 Greatest Drivers” list in 1998, which was NASCAR’s 50th anniversary race season. Pearson raced at the top level of the sport, what’s now called the Monster Energy NASCAR Cup Series, for nearly three decades, according to the Racing Reference online database. He ran races with his own operation and for others during that time, including the famous Wood Brothers Racing team, and got the nickname “The Silver Fox” for always being around at the end of the race to fight for the win and for his graying hair. In 28 seasons between 1960 and 1989, Pearson ran 574 races, won 105 times and sat on pole 113. His biggest competitor then, Richard Petty, ran 1,184 races between 1958 and 1992, winning 200 times and starting on pole 123. Petty might have nearly double the wins on the all-time list, but he ran double the races. Pearson won three Cup Series titles, which doesn’t put him anywhere near the top spot on the all-time championships list—currently a tie between Earnhardt Sr., Petty and Johnson. But the telling part about Pearson’s title count, and one of the most telling parts of his career, is that he didn’t run full seasons most years. Pearson never ran a complete season in what’s now called the Cup Series, but got close four times: he ran 61 of 62 races in 1964, 42 of 49 in 1966, 48 of 49 in 1968, and 51 of 54 in 1969. He won the championship each one of those seasons aside from 1964, when he finished third, meaning he won three out of the four times he was actually in contention for the title. Talk about a stat. NASCAR’s Hall of Fame opened just eight years ago in 2010, and Pearson was inducted the year after in its second class. He got the most votes that year, according to NASCAR’s statement on Monday night, and for good reason. Pearson is survived by his three sons, Larry, Ricky and Eddie, according to the Associated Press. His wife, Helen Pearson, was diagnosed with cancer and died in 1991, according to a Spartanburg Herald-Journal report from that year.